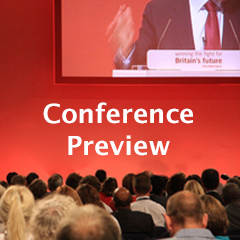 At Labour’s conference in Manchester next week, delegates will be debating and voting on a number of key changes to the party’s rule book, tabled both by the national executive and by constituency parties. Grassroots proposals, under an obscure convention (known as the ‘1968 Ruling’) have been delayed for a year but the executive can agree rule changes one week and have them voted on by conference the following week! It is vital that delegates ensure that constituency party proposals are given a fair hearing not brushed aside. Last year, in addition to the rule changes from that have been accepted by the conference arrangements committee for debate this year, there were no fewer than eight further rule changes proposed by 14 constituencies (Bermondsey & Old Southwark; West Ham; Bolsover; Runnymede & Weybridge; Maidstone & The Weald; Bridgend; Great Grimsby; Meriden; Newport West; Saffron Walden; Wirral West; Bracknell; Epsom & Ewell and Redcar) ruled out of order. 1) To create a fair “three-year-rule” for rule changes at Conference. This proposal is intended to clarify a clause known as “the three year rule” whose original intention was to prevent repeated discussion of the same issue year after year. These words were interpreted in that way for many years. In recent years, however, it has been interpreted increasingly widely and unpredictably: the word “part” is not defined by the rules and has been interpreted to mean a whole clause or even more, covering in some cases several pages. Prior amendments which happened to fall in the same clause, sometimes no more than drafting changes, have been used to prevent debating and voting on constituency proposals on completely different issues. Proposals ruled in order and scheduled for debate to start with have sometimes been ruled out later in the week because of NEC-proposed rule changes (often on different issues) to the same clause made earlier in the week! These results are arbitrary and contrary to the spirit of the three year rule. The amendment clarifies the rule and helps the conference arrangements reach its decision by considering what a proposed amendment is really designed to achieve, rather than simply asking whether the proposal relates to the same “part” (whatever that means). In recent years there has been a consistent trend towards giving all party members a direct vote for their representatives on national committees. These moves have given the grassroots membership some rights and influence within their own party, which is particularly important given the counter-trend of more power accruing to the centre and the party machine. In 1997, party members were given the right to elect the constituency section of the NEC by one member-one vote and recently the right to elect the constituency section of the national policy forum (NPF) by OMOV was added. The conference arrangements committee oversees all aspects of the organisation and conduct of the party’s annual conference and it has two constituency seats (at least one of which must be held by a woman). These two seats are elected every second year. It is an important committee, deciding for example which motions from constituencies are valid and which are not valid. It would therefore be an important improvement if these were also to be elected by OMOV rather than only by delegates to the conference, and would cost no extra money if run alongside elections for the NEC and NPF. A considerable number of constituencies who no longer send delegates to conference and would no longer be excluded from the CAC election thereby enfranchising every member. The two seats on the conference arrangements committee were, for many years, occupied by rank and file members. In recent years, however, they have often been filled by government ministers or shadow ministers. To operate as it should, it always be independent. Controversial policy issues at conference therefore put ministers or shadow ministers in an impossible position. They cannot serve two masters. They are always under pressure to follow the leader’s line, rather than the democratic interest of constituency delegates. In practice this would mean that they would be under pressure to keep controversial issues off the agenda. Last year, three local parties (Bolsover, Runnymede & Weybridge and Maidstone & the Weald) submitted proposed rule changes which would restore the category of trade union affiliated members to the Rule Book. These CLPs did this well before the furore over Falkirk and Ed Miliband’s ill advised decision to have a “Clause IV moment” by demanding changes to the Party-union link. For over seventy years our Party’s Constitution always began with the clear statement that the Labour Party has “two classes of members, namely: (a) Affiliated members (b) Individual members”. In the last twenty years the Rule Book has been re-jigged many times and one result is that this clear statement has been lost sight of. This is unfortunate because the statement was a clear reminder that Labour was established as, and remains to this day, a federation. It was formed as a federal body in February1900 at a Conference of 129 delegates (117 from trade unions, 7 from the Independent Labour Party, 4 from the Social Democratic Federation and 1 from the Fabian Society). The proposal from the constituencies simply wanted to re-instate a clear version of the seventy-year-old statement. But, although the they submitted their proposal in Spring 2013, and the Special Conference, covering the Collins Review, was not until Spring 2014, the conference arrangements committee has ruled that the three constituencies should be denied their right to be heard. This is particularly unfair because at the Special Conference no actual rule changes were carried on the issue they raise. Thus there is, therefore, no question of any “three-year-rule” applying. The three constituencies have every right to be heard at the 2014 Conference. But, regrettably, the conference arrangements committee’s record suggests that the concept of fairness is not one with which it is much acquainted! I urge everyone who believes in the need to improve internal Labour Party democracy to support these rules changes and to persuade their CLP and union delegates to Conference to support them.